For this last installment of my series about Facebook Ads, I had to talk about Instagram! The social media of choice when it comes to photography, Instagram should definitely be part of your marketing strategy. There are two ways to create ads on Instagram. 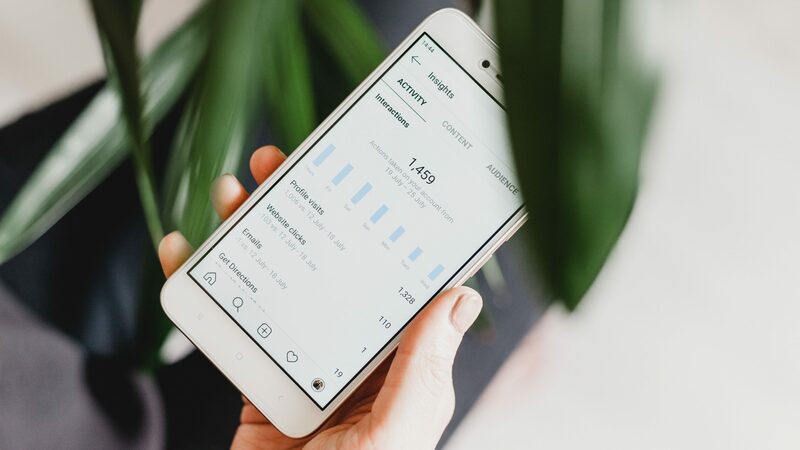 You can either use the Ads Manager, where you can choose to create an ad for Instagram only or for both Facebook and Instagram, or you can do it in the Instagram mobile app directly, which is similar to boosting a post on Facebook. First, let’s talk about what you need to create Instagram ads. You need a business profile on Instagram and a Facebook page. That’s it! You’re all set to create Instagram Ads! But don’t forget, before you start creating ads and spending money, you need a solid marketing strategy! You can create an Instagram Ad through Facebook’s Ads Manager (see my previous articles about the Ads Manager and How to create a campaign). Build your Ad Campaign, Ad Set and Ad with the Ads Manager as you would for a Facebook Ad. When building your Ad Set, you are able to choose the placement of your ads. By default, it is optimized by Facebook to reduce cost, but you can pick where you want the ad to be shown by clicking on Edit Placements. Then, simply uncheck all the boxes for Facebook, the Audience Network and Messenger. You can even pick if you want your ad to show in the feed, in stories or both. If you want a simpler way to create an Instagram Ad, just use the mobile app! On Instagram, ads are called Promotions and you promote a post (on Facebook, you boost a post). When you have a business profile, Instagram displays a Promote button on all of your posts. Start with clicking on it! Then, you need to select the audience you’re targeting. There’s an Automatic option that I wouldn’t recommend. You should have a strategy and now exactly what market you’re targeting. If you have saved audiences, they will show up here. Otherwise, click on Create your Own. Creating your own audience is pretty straightforward. Pick a name, locations, interests, age and gender. It doesn’t have as many options as the Ads Manager, but it can be enough for basic targeting. At the top, you can see the size of your audience and Instagram will tell you if it’s too big or too small. The third step is to pick your budget and the duration of the ad. Pretty simple. Finally, you can review your ad and set up payment. Then click on Create Promotion. It’ll take a couple of hours for your ad to be checked and accepted. If you go to your profile, there’s a Promotions button. You can see all of your active and inactive ads, their status and some quick analytics. If you click on a promotion, you can see all the analytics (called “insights”) of the post and the promotion. Instagram Ads are pretty straightforward. For advanced options, the Ads Manager is key and it’s worth using to coordinate your campaigns. In my experience, Facebook does a good job at spreading your ad impressions across platforms, but you should test as much as you can for your own campaigns. This is the last installments of this series. Facebook & Instagram Ads are a fascinating topic once you start looking into it and using them. There’s a lot I didn’t get into because they’re niche features, but go ahead and explore on your own! Header photo by Georgia de Lotz on Unsplash.